Gosh! Those unruly, entitled toffs, those children of privilege, those brattish urchins born into hereditary rule - they're pretty bad aren't they? Tales of young Conservatives destroying local businesses, putting bricks through windows on youthful wrecking sprees, are common in their appearances in the British press - its not rare for parallels to be drawn between the adolescent destructive behaviour of the putrescent young men who attend Eton and their actions when they inevitably become politicians later on. Its a story as familiar to us as the anti-poor rhetoric which greets Daily Mail readers each time they open the paper. In The Riot Club, director Lone Scherfig creates a horror film of sorts - an Eden Lake with posh villains - aimed at ramming home just how beastly Etonians truly are. Money-obsessed and loutish, each and every one of them revels in a peculiar life of archaic rituals and unrelenting debauchery. The film shows us this over and over in case we don't get the point. Despite running to 107 minutes, there's little on display that can't be summed up in the sentence: "Rich people are bad." Like The Wolf of Wall Street, another empty and self-indulgent movie about debauchery, Scherfig's film stretches itself far too long with far too little to say. There's only so many items and people that can be broken, smashed or beaten before nausea, rather than disgust, sets in. 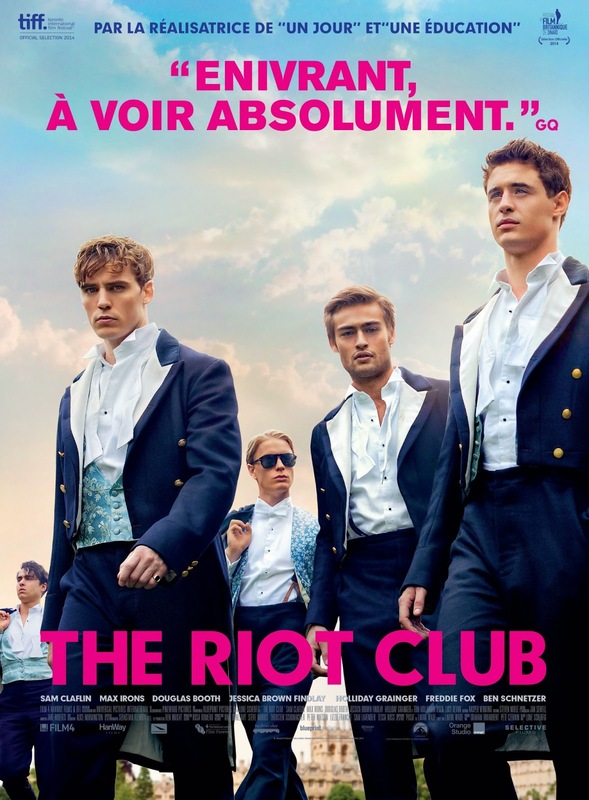 Were this review to replicate the film's structure, length and bagginess, these prose would extend to an additional twenty thousand works repeating, over and over, that: "The Riot Club thinks the entitled rich act with too much entitlement. This is bad." Being in the company of the movie feels like being in the company of a gang of young brats - we understand how grotesque the situation is early and want to leave as soon as we can. There's simply nothing to be gained from hanging around for the full 107 minutes. The Riot Club, the University fraternity, is the type of establishment I'd never get an invite too - I wish the same could be said of the movie too.